Proud Pour is a new environmental wine start-up, located in New York City, that focuses on addressing major environmental problems - through wine. Launched in 2014, Proud Pours first product will be "The Oyster" and it should be available by August 1st. Creating reefs & habitats for fish, crabs, birds and other organisms. NYC's Harbor has been severely neglected for nearly a century. Proud Pour is another great idea to help clean our waters! You can help by purchasing and enjoying their wine. 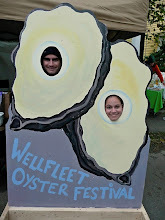 We at Go Shuck An Oyster don't think that is too much to ask of our readers! Cheers To Change. To support, or learn more about, Proud Pour, visit www.proudpour.com and tell them Go Shuck An Oyster sent you.